The Eiko Shimada Library Fund was established in 2012 by the Shimada Family in memory of their beloved wife, mother, and sister. Mrs. Shimada’s relationship with The International Preschools spanned 45 years as a parent, a volunteer, and an esteemed member of the administrative staff. 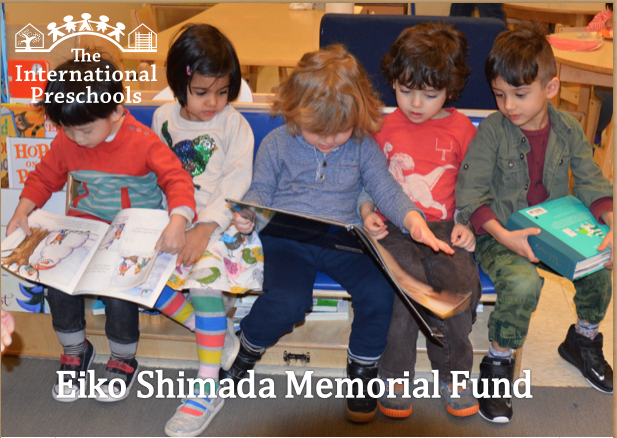 The purpose of the fund is to enhance the IPS libraries at all locations which have been renamed “The Eiko Shimada Libraries,” translating Mrs. Shimada’s love of IPS into a warm and welcoming place where students may foster a love of reading. 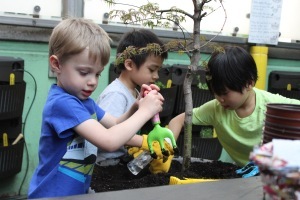 Since 1963, IPS has been opening a window on the world for young children from all corners of the globe, and it is your support that allows IPS to continue its mission. In addition to capital improvements, the Annual Fund provides crucial support for scholarships and professional development for faculty and staff. What is the time period of the Annual Fund? The Annual Fund runs from September 1st through June 30th of each school year. Board members, parents, parents of alumni, grandparents, faculty, staff, friends, and corporations. I already pay tuition, why should I give? 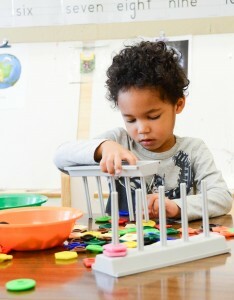 Grow programmatically and introduce new activities like the iPad program, Handwriting Without Tears, and the Clay program. Award financial aid. In the past year, the school awarded over $600,000 in financial aid. Your donation supports these and other enhancements and provides for the long-term stability of the school. IPS has established designated funds that you can donate to or you can give to the general fund. If you have a more specific request, we are happy to accommodate it. Please send an email to donations@ipsnyc.org with your instructions once you complete your donation. What are the different giving levels? If I have a limited budget to give to IPS, do you prefer I support a PA fundraiser or the Annual Fund? We understand that there are many ways to support IPS in addition to the Annual Fund, and appreciate your participation in the various fundraisers. The school formally asks everyone to give to the Annual Fund, which allows the school to carry out its mission and culture. Each Annual Fund gift counts towards 100% participation, and every gift helps gets us closer to our goal. Parents’ Association events are important in providing additional funding for expenses above the operating costs. Money raised at the book fair supports The Eiko Shimada Fund. The auctions at the Annual Benefit go directly to our scholarship and professional development funds. 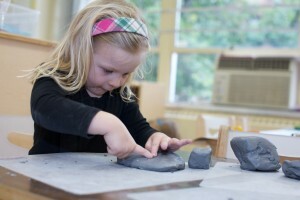 The School seeks high participation from its parent community. On average there, is a $3,000 gap per student that needs to be bridged to cover the full cost of an IPS child’s education. Gifts of all sizes are needed and welcomed. Every dollar makes a difference. I’d like to spread my gift over time. Can I make a pledge? Yes! Pledging is a great way to support the school throughout the year. What is an employer matching gift program? Corporate matching gift programs are an excellent opportunity to double the size and impact of your IPS Annual Fund contribution with just a couple of quick steps. Every company’s matching gift process is different. After you make your donation to IPS, please contact your company’s matching gift office and they will advise you on the specific process. When making a donation online to IPS, be sure to mark the company match box at checkout. You will receive credit for the amount of the gift plus the matching donation. Click here for a list of companies that have matching gift programs. Company match policies are always changing, so please double check with your company about their matching gift policy. If you do not see your employer, contact them to find out if they have a matching gift program. Where do I make my donation? Your participation in The Annual Fund improves our standing in various non-profit and school rankings, so all donations are important, big or small. Many outside foundations and corporations look at participation rates when making funding decisions for various grants. A high participation level is a sign of confidence in our school and inspires others to give. Who can I speak with about giving at IPS? Pick up the phone and call Paul Q. Kane at 212-371-8604 x1106 or email him at pkane@ipsnyc.org.